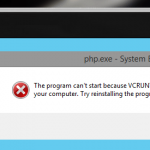 Home » Windows » How to Fix The Program Can’t Start Because VCRUNTIME140.dll is Missing? How to Fix The Program Can’t Start Because VCRUNTIME140.dll is Missing? 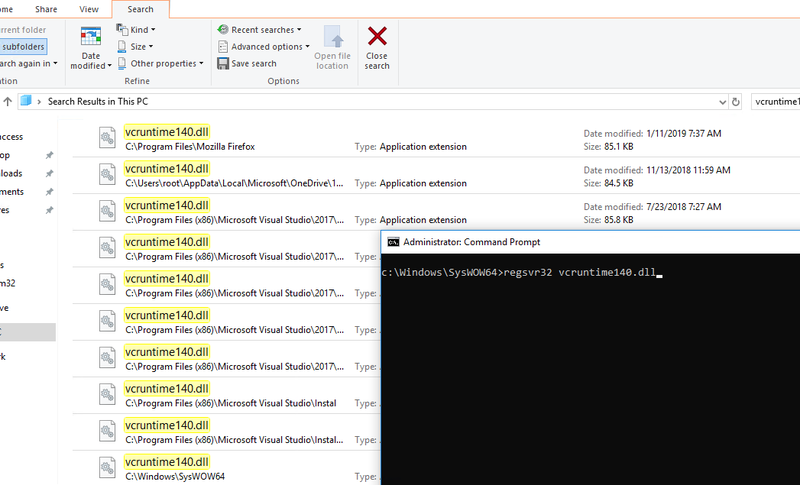 Try to find the vcruntime140.dll file on your computer and re-register it. Important! Be warned, you shouldn’t download the vcruntime140.dll file from third-party sites, because this is pointless (most likely you are downloading an old version of the file) and dangerous (you can download a file with a built-in trojan or virus). The easiest and correct way is to download the latest version of Microsoft Visual C ++ 2015 from Microsoft website. However, first of all you need to determine which version of Windows is used on your computer: x86 or x64. This means that I need to download Microsoft Visual C ++ 2015 x64. Go to the official Microsoft site with the following link. 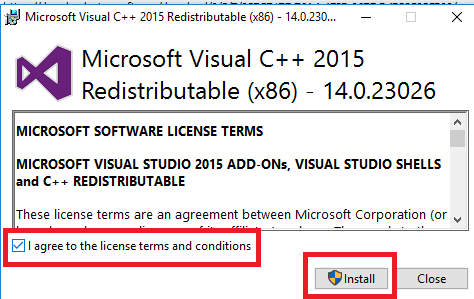 You will be prompted to download Microsoft Visual C ++ 2015 Redistributable Update 3 RC. Click the Download button. Select the bitness of the package you want to download. In our case, this is vc_redist.x64.exe and click Next. 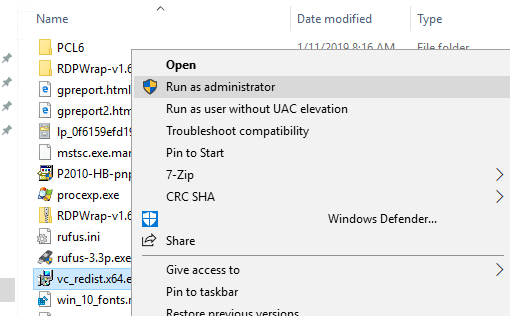 Save the file to a local drive and run it as an administrator. In the installation wizard, check the box “I agree to the license terms and conditions” and click the Next button. Wait until the installation of VC Redistributable is complete, then restart the computer and check that the program that didn’t start due to the missing vcruntime140.dll file now starts correctly. If you cannot download the vc_redist.x64.exe file, you can try to find the vcruntime140.dll file on your computer using a search (own vcruntime140.dll file may be located in the installation directory of various programs installed on your computer, for example, Firefox, OneDrive, Skype, Microsoft Office 365). Copy it to the folder C:\Windows\System32 or C:\Windows\SysWOW64 (depending on the Windows bitness).